This feature will give you all emails related to a domain scraped from the internet. Export in one click all emails related to a domain. 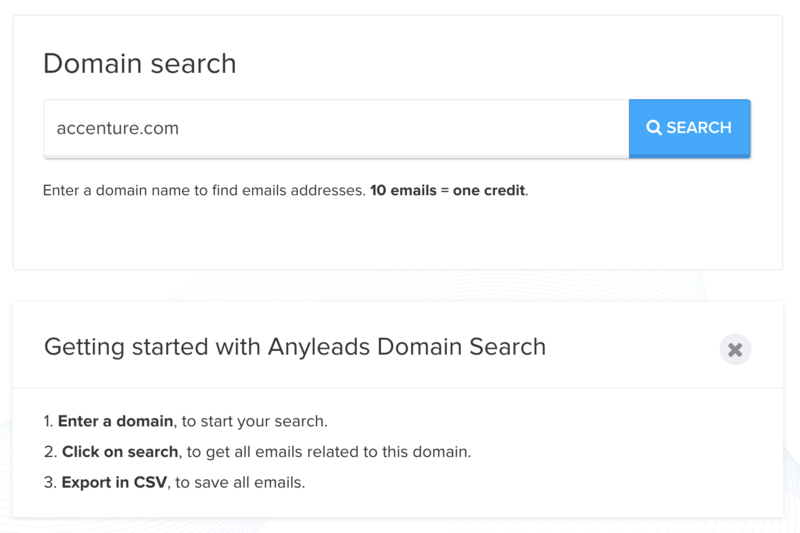 With The Email Finder, you can give a domain name to search and we will give you back a list of emails scraped from the Internet. 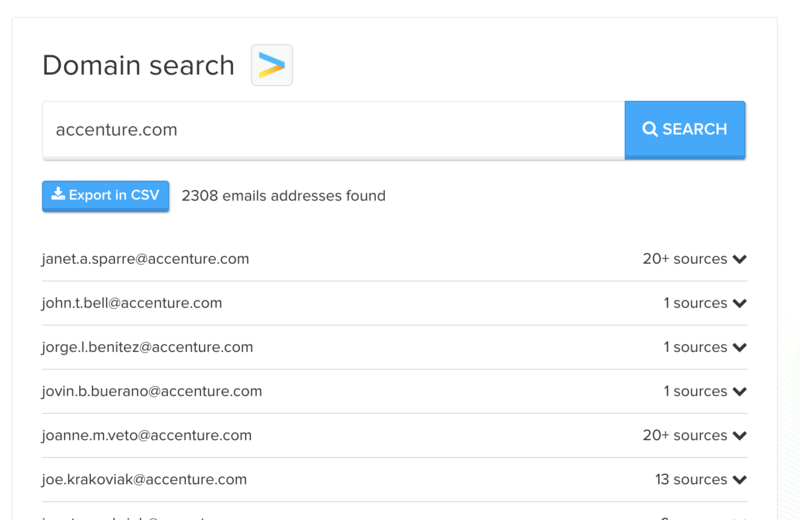 The email finder will give you reports of emails to download in CSV all emails related to the domain and find B2B contacts.